Michele Witt just won herself some awesome goodies to help keep cool and stay cool this summer for her photo of kids playing in the pool. As we move further along in summer, the days are getting that much warmer and it's getting harder to keep cool. But sometimes just trying to keep cool is enough... 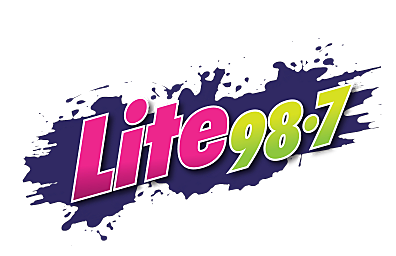 Enough to win some great prizes from Lite 98.7. We want to give a big congratulations to Michele Witt for showing us how her family is trying to keep cool this summer. She submitted a photo of the little ones playing in the pool. Not only is it adorable, but it is our winning photo for this week. Michele just won a pair of passes to Enchanted Forest Water Safari and a brand new air conditioner from Dave Hayes Appliances. Now you can be just like Michele, we have two more weeks of giveaways. All you have to do is send us a photo through our Lite 98.7 App of how you're trying to stay cool this summer. It can be anything, sitting by the pool, kayaking on a lake, or just drinking an ice-cold lemonade... However you stay cool. Send the photo through the app with your name and phone number and you'll be entered into the drawing. It really is that simple. You can get more details on the contest and info on how to download the app if you don't have it yet (and how to send a photo through the app) at the link below. And again, a big congratulations to Michele Witt and her family.